People see technology as a linear trend, or one thing that naturally leads to another. This is the reason so many authors and bloggers refer to it as “The March of Technology”. But, this is an oversimplification of the innovation process; a more appropriate analogy would be “The Drunken Wanderings of Technology”. What people need to remember about innovation is that it’s seldom a straight line. More often than not inventors find solutions in older tech, look to natural mechanisms for inspiration, or combine existing devices to create something new. There aren’t any rules on where technology can take itself, and even complex systems take strange detours in their development. One very good example is MOTOTRBOs IP Site Connect service. It sounds technical and intimidating, making people think of elaborate codes, sensitive devices, and intricate systems. But, in reality, it essentially combines what most people would consider an outdated device with a service that everyone uses every day. This may be another oversimplification, but the essence of the IP Site Connect is that it uses the internet to connect MOTOTRBO radio users. 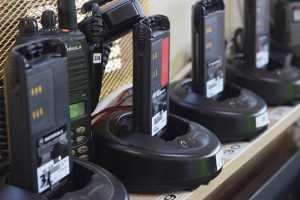 This service essentially turns radios into cellphones without the apps. Instead of relying on radio waves to transfer audio-electrical information, these radios will use established IP networks. What this does is that it allows radio users to reach fixed points across larger areas without compromising the quality of the message or the efficiency of the delivery. It sounds like a simple enough solution to some of the inconveniences of radio technology, but getting to that point required some creative mental gymnastics. There are very few people even considering radios as a viable communication device in the age of smartphones. But, certain industries still rely on the quick and efficient manner with which they can send and receive messages in real time. Improving connectivity not only allows the radio to remain relevant, but also provides a significant upgrade to how these industries operate. Be the first to comment on "Connecting Radio and Internet: How Innovation Really Works"